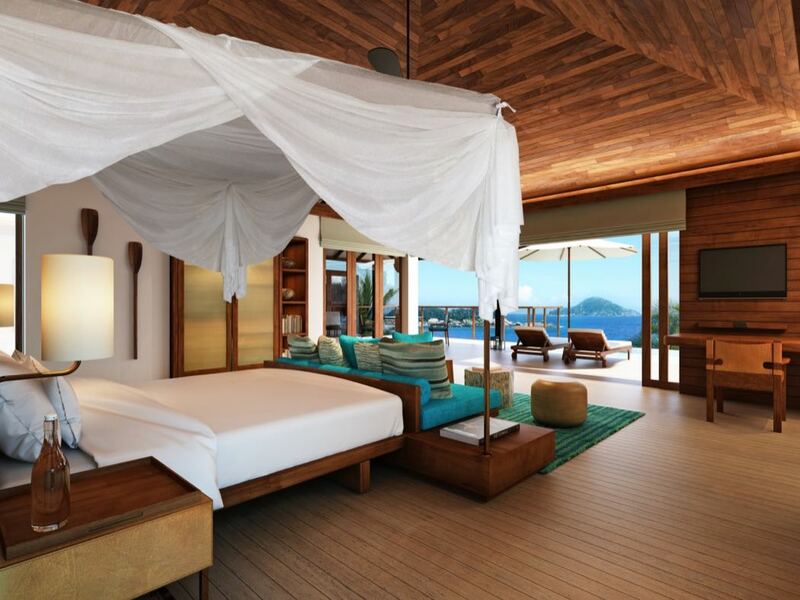 Possibly one of the most anticipated luxury hotel openings in 2016 is Six Senses Zil Pasyon in the Seychelles. In this review I outline why this hotel will be as fantastic as you imagine. Located on the north side of the private island of Félicité, approximately 55 kilometers or 30 nautical miles northeast of Mahe, you can reach this slice of paradise by helicopter from the International Airport or a short boat ride from neighbouring La Digue and Praslin islands. Félicité is said to be one of the most dramatically beautiful isles in the Seychelles. 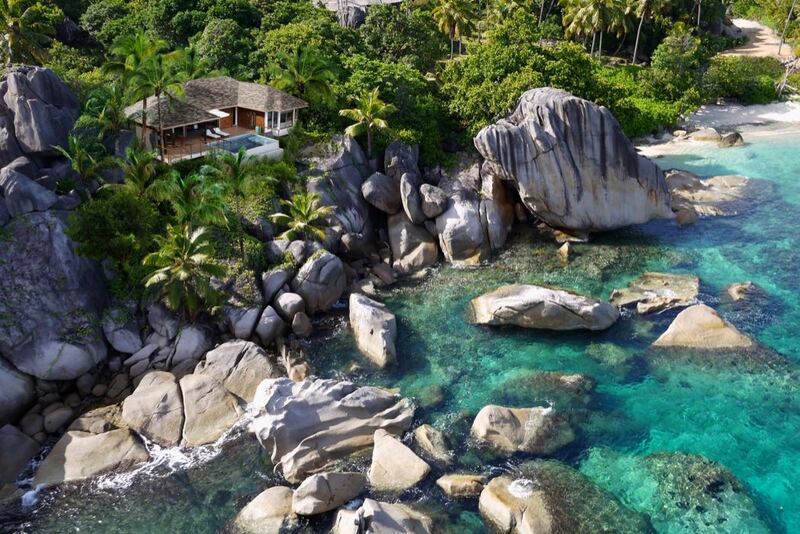 Resort pictures showing the massive granite boulders that fringe the white sand beaches certainly make this mesmerising location look as close to paradise as islands come. Measuring 264 hectares (652 acres), the resort will be a sanctuary within the natural environment, the island features prolific indigenous and abundant flora and fauna which is why it was chosen as the ideal site for a Six Senses project and the sole resort on the island. Six Senses Zil Pasyon will be located on the north side of the island and will occupy less than one third of the total land. 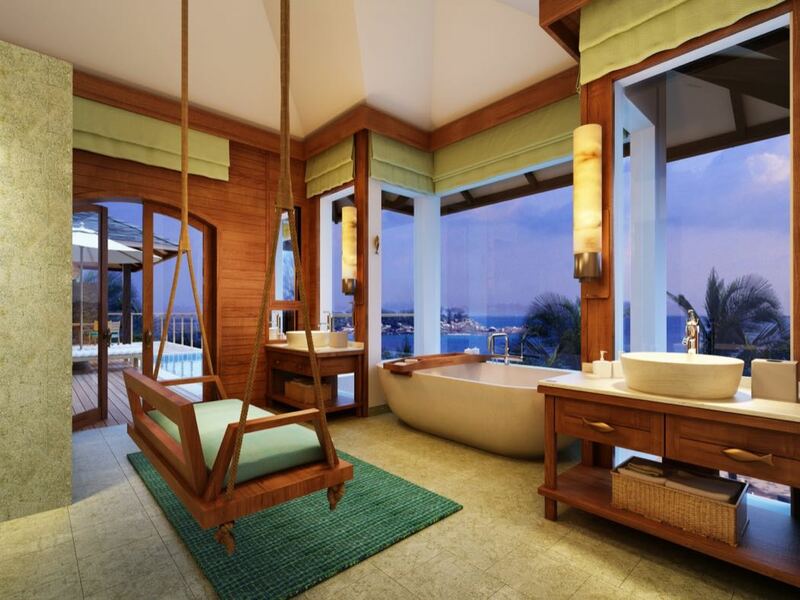 With just 28 one-bedroom villas, two (2) two-bedroom villas and 17 private residences, all with private pools, Richard Hywel Evans of Studio RHE has created an oasis of serenity encircled by the Indian Ocean, while Six Senses will oversee interior design. White sandy beaches and azure waters compliment the picturesque landscape of untouched beauty, offering guests the opportunity to swim with turtles right off the main beach. There are unsurpassed vistas of the ocean and surrounding islands from the higher points on the island. In addition to fabulous water activities, there are numerous scenic and inspirational walking trails amidst the islands lushness. Offering perpetual summer, this breathtaking hotel should surely be added to your bucket list! Six Senses Hotels & Resorts are in fact expanding their portfolio in a number of far-flung destinations over the next two years. The latest resorts include Six Senses Qing Cheng Mountain, which opened in 2015, Six Senses Bhutan, Six Senses Mont Blanc ski hotel which is nestled in the French Alpine area of Saint-Gervais-les-Bains, Six Senses Wuma located at the base of Medicine Mountain in Taiwan, Six Senses Freedom Bay in St Lucia, Six Senses Uluwatu in Bali and Six Senses Gammarth on the Mediterranean Coast in Tunisia.